Built into the online platforms and services you are using for info-activism are analytical tools that allow you to see who is accessing your online campaign and how they are using it. 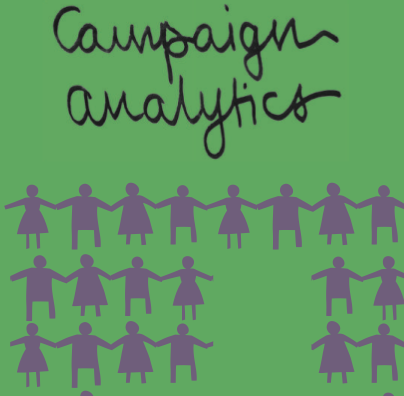 Using a variety of free tools, you can track the dissemination of your campaign's message, follow public dialogue around your campaign issue and monitor the online behaviour of your targets, allies and opponents. Does your campaign have a unique, short and easy-to-remember slogan? This will make it easier to monitor how your message spreads. Can you use RSS feeds to allow supporters to track the evolution of the issue you are campaigning about via your website, with keyword feeds that are published automatically on your website? What actions by your supporters and allies are important for you to track? What else is important to monitor; for example, buzz from the general public about your campaign or issue; keeping track of strong allies in order to connect them to one another? If the information you need to track is not available online, how might you find an alternative source? How can you get the information you need about how many people visit your website without compromising their safety? IP addresses can reveal locations and other identifying information, should your logs be lost or seized. Tracking your own message online involves monitoring how, where and when it is mentioned by others - the mainstream and independent press, policy-makers, non-governmental and community-based organisations, and anyone else who is discussing your message in a way that can be searched for online. If your campaign's message is communicated as a short, unique slogan it is much easier to track online. You can track the broader evolution of the campaign issue using many of the same methods you use to track your own message. Tracking the issue may also involve monitoring a range of media online, such as press statements, reports, announcements of public meetings, meeting notes circulated on email lists, and informal discussions on social network sites. By monitoring the websites of individuals and organisations that you have identified as being targets, allies or opponents, you can assess how they are responding to your campaign, track their appearances in the press and at specific events and follow their campaign messages and actions. This allows you to offer relevant information or support to targets and allies, and to rebut your opponents' arguments quickly and effectively. By tracking comments responding to both their Facebook posts and their blog, the climate change campaign 350.org noticed that they received many more comments on Facebook. Facebook and other social network sites feature the option to email you whenever a comment is made on one of your posts. This way, you can track people's uptake and response to your message and make decisions about the value and effectiveness of using different online platforms and services. Blip.tv video dashboard: The Blip.tv video dashboard allows you to automatically cross-post a video and track its activity on other video services such as YouTube, DailyMotion, or Vimeo, and to the micro-blogging site, Twitter. This dashboard can be used to solicit and aggregate responses to your campaign's video/s. Email alerts: Many social network sites allow you to receive emails notifying you when new people add you as a friend or contact, comment on your content, or send you a private message. If you dedicate an email account to these alerts, you can share them with others in your organisation, and avoid overloading your regular email account. AWStats/JAWStats: AWStats is a free and open source web traffic analytics tool, which can track how many people visit your website. JAWStats is a plug-in that runs with AWStats to generate more readable reports. This software must be installed on your own web server. ClickHeat: ClickHeat is a free and open source web application that generates visual representations of where people click when visiting your website, so that you can see what parts of the page are most interesting, easy to read, or effective in getting your visitors to act. Google Alerts: Google Alerts supports you to search for any coverage of an issue, in digitised print media as well as in online-only media and blog posts. By signing up for alerts via email or RSS feed, you can get updates as they appear. RSS Readers (such as Netvibes, Feedly or Reeder): Allow you to subscribe to any syndicated (RSS) content published on websites (such as blog posts, podcasts or videos) and see it as soon as it is posted. Twitter: Allows you to monitor what people are saying about your issue on Twitter, by using keyword searches or mentions of the campaign's Twitter username. You can track replies to your messages, and track keyword searches by hashtag (#), which makes relevant posts easier to find. HootSuite: HootSuite has built-in analytical tools to track how many people quote, or reply to, your Twitter posts. RSS feeds (or other syndicated feeds): On many websites where content is user-generated, results of searches for particular keywords can be subscribed to as syndicated feeds. For example, you can add a keyword-based search of video- and photo-sharing websites such as Flickr to your RSS reader, and automatically view new posts relating to those keywords. You can also follow the RSS feeds of your targets', allies' and opponents' websites. TweetDeck: You can use TweetDeck to make it easier to keep track of the Twitter accounts you follow, sorting them into groups; for example, allies, politicians and media. CiviCRM & SugarCRM: CiviCRM & SugarCRM are relationship management systems that allow you to track actions taken from your website or from an emailing; for example, if users or recipients send an email to a target, forward an email to a friend or sign a petition. Wordle: Wordle allows you to generate 'word clouds' from text that you provide. The clouds give greater prominence to words that appear more frequently in the source text. You can use this tool to analyse the way an organisation represents an issue, by creating a word cloud from their press releases, speeches, reports or websites.